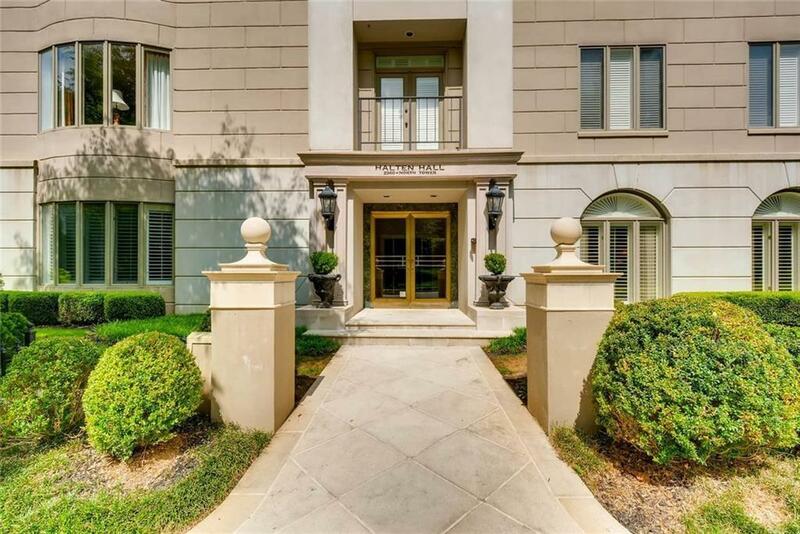 This is a beautiful, spacious condo in a boutique mid-rise European style bldg. 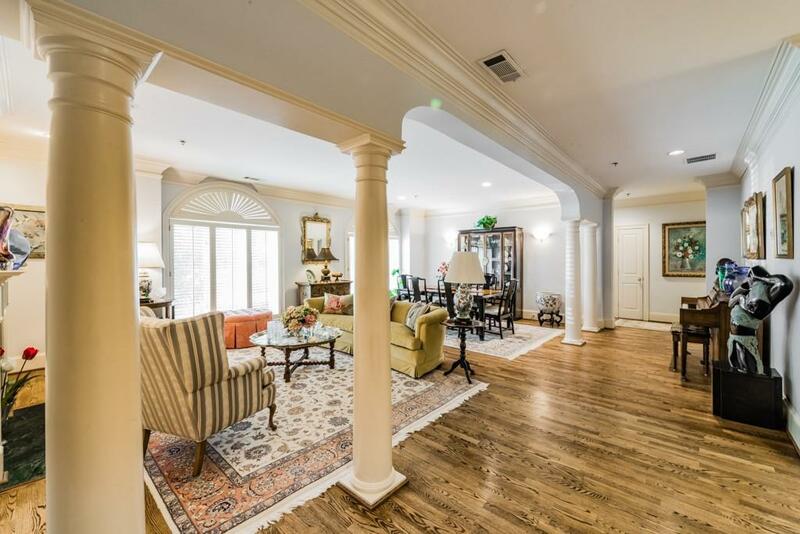 located in the heart of Buckhead, walking distance from shops, restaurants, Shops of Buckhead, St. Regis & Whole Foods. This 1st flr unit is light filled with palladium windows. 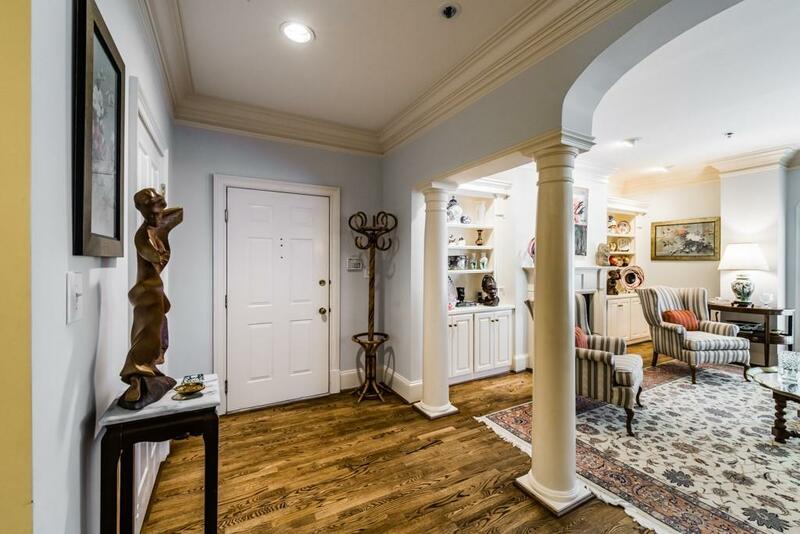 High ceilings, triple crown molding in all rooms, open concept living room/dining room with decorative columns, fireplace & den with beautiful custom cabinetry. The unit has been renovated throughout. 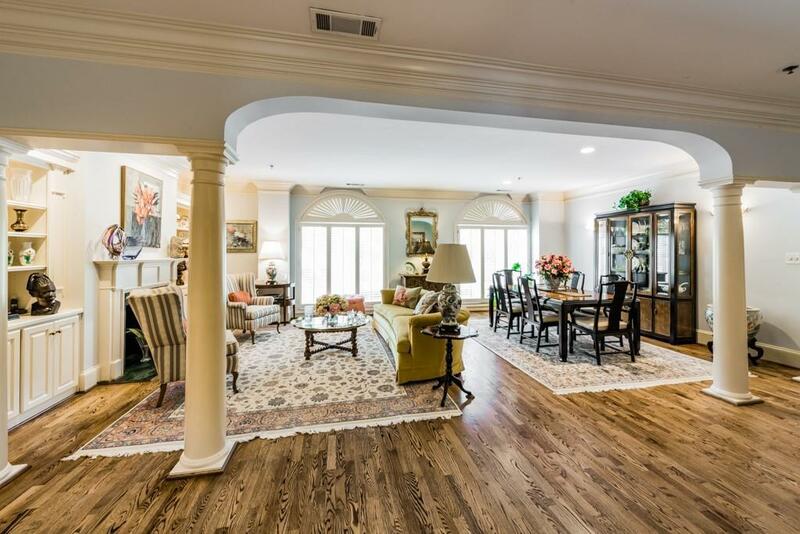 Hardwood flooring in LR< DR< Den & Hallways, New high grade carpeting in bedrooms. SS appliances. Move in ready! !